Be one of the first people to see the new film, Sing, at AMC Layton Hills 9 theater in Layton, Utah. 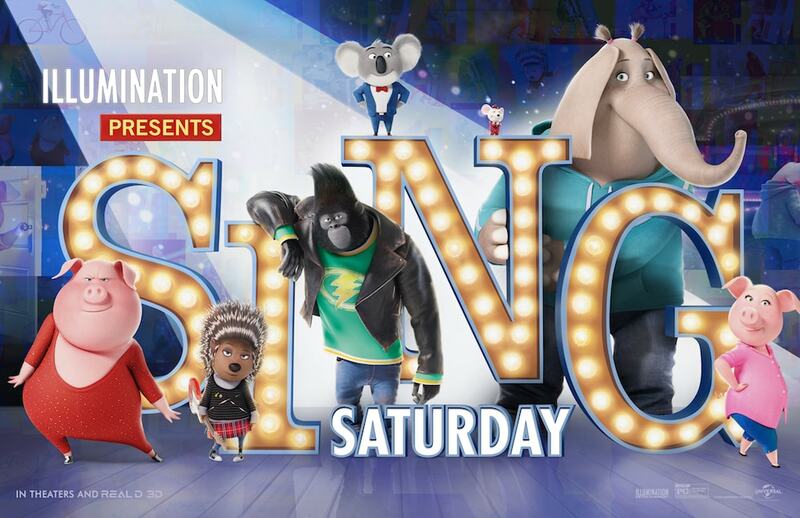 SING SATURDAY is a free first-come, first-served screening starting at 10:00 A.M on Saturday, November 26. There will be no advance ticketing for these; it will just be 100% first-come, first-served. Families can visit www.SingSaturday.com and enter their zip code for a list of participating AMC theaters in their area. But Salt Lake City’s closest theater is AMC Layton Hills 9 theater in Layton.